Introduction by Rene Paul Barilleaux. Text by Stephen Westfall, Lilly Wei, Rene Paul Barilleaux. Beauty Reigns: A Baroque Sensibility in Recent Painting assembles the work of 13 emerging and mid-career abstract painters--Jose Alvarez, Kamrooz Aram, Charles Burwell, Annette Davidek, Fausto Fernandez, Nancy Lorenz, Ryan McGinness, Beatriz Milhazes, Jiha Moon, Paul Henry Ramirez, Rex Ray, Rosalyn Schwartz and Susan Chrysler White--whose art is characterized by high-key color, obsessive layering of surface imagery, repeated patterns, stylized motifs and a tension between melancholy and the sublime. It builds directly on Barilleaux’s award-winning exhibition and book New Image Sculpture, which examined how contemporary artists transform widely available, often non-art materials into fanciful replications of the ordinary. 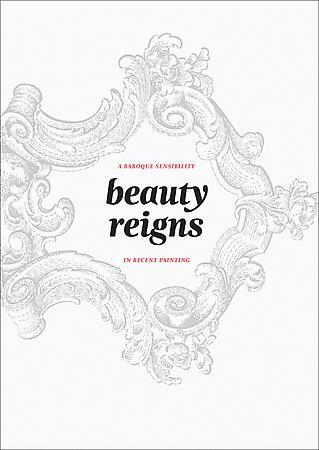 Beauty Reigns identifies a recent trend towards exoticism, exuberance and optimism. Hardcover, 8.25 x 11.75 in.